Jo and I are starting to plan our new, suburban Cottage Garden, with a number of key goals in mind. It has make best use of the available space, look stunning for as much of the year as possible, produce a few food crops that will supplement and add to the main work being done down on Plot #59 and, last but definitely not least, provide a haven and a rich food source for bees and other propagating insects. I’m sure if you’re a gardener you’ll be aware of the plight of the world’s bee populations: beset on all sides by a changing environment, a loss of their food sources, parasitical invasion and pesticide poisoning. Without bees to pollinate a huge percentage of our food crops, the human race would be plunged into food poverty and a massively-reduced diet faster than you can say “why are there no strawberries on the supermarket shelves?” And that’s just one reason to do everything we can to help halt their decline, the knock-on effect would be a massive disruption to entire ecological systems; nothing short of environmental catastrophe. As you can see, the main things we as domestic gardeners can do to help them out are to provide food for foraging bees and suitable habitat for solitary bees to over-winter in. Jo and I also benefit from the nearby location of the Manchester & District Beekeepers Association and their dozen or so hives at their apiary in Heaton Park, so providing a source of nectar for their bees is only neighbourly, which is why we’re aiming to grow a large volume of pollinator-friendly flowers at Plot #59 as well. Last year we grew red clover as a green manure and let it go to flower: it looked absolutely stunning and on warm, sunny days the patch was thick with bees; a huge success. Individually, none of us are going to be able to solve the problem, of course. But collectively, our efforts can add up to a sum total that’s at least a step in the right direction. So if, like us, you’re planning ahead to your Spring and Summer displays, think bee-friendly first. 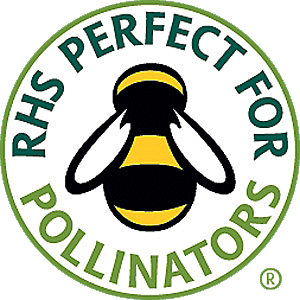 Check out the RHS Perfect for Pollinators plant lists, which include some absolutely stunning native and world plants, and look for the logo when browsing seed packets. If you have a choice between two, equally attractive options, opt for the one that will do the bees the most good. Our furry, flying, pollinating friends will thank you for it. I love watching and photographing the bees in our garden and on the allotment. We always try to grow plenty of flowers for bees and other populations of insects. I always find it amazing how some of the tiniest flowers are so loved by bees such as the gooseberry flower and the currants. They also adore the heucheras. We’re both big heuchera fans here, so we’ll definitely be planting a lot of those in the back garden. We already have a dozen or so out front in the gravel patch and side beds, although I don’t think all of them have survived the winter.